Bath-based Highlight PR has won a contract to boost awareness of The Military Preparation College (MPCT), a national organisation dedicated to helping 16-18 year olds prepare for a career in the Armed Forces. 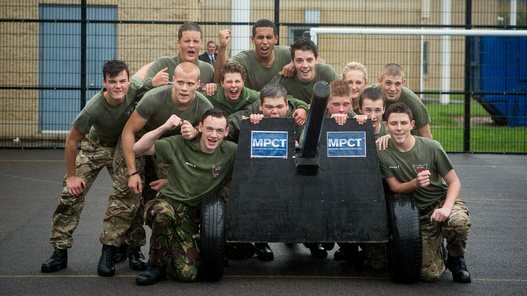 Founded in 1999, MPCT aims to engage, educate and motivate young people, boosting their physical fitness, their functional skills and their self-confidence. For those interested in pursuing a military career, it gives the best possible chance to pass Forces selection and complete basic training. For others, the College acts as a valuable stepping stone to further education, training and employment in Public Service roles. This year, the College has opened two centres in Bristol and Cheltenham, bringing the total number of branches to 15 nationwide. In August 2014, the Military Preparation College was rated as ‘Outstanding’ in every area by Ofsted. Highlight PR’s role will be to boost national and regional visibility of the organisation amongst potential recruits and regional influencers. The agency will also publicise regular events staged by the College, from annual Award Ceremonies and VIP visits to literacy missions, skills competitions and charity initiatives.